A 74 year old male with non healing stage IV sacral decubitus ulcer with osteomyelitis. Patient was admitted to the hospital for esophageal cancer surgery. Multisystemic organ failure occurred post surgery. 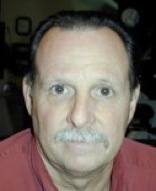 During his hospital stay, he developed a sacral ulcer which required four surgical debridements as well as active wound management including VAC therapy. 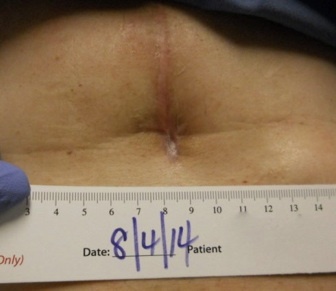 Despite extensive therapy, the Stage IV pressure ulcer located on the sacrum had been present for approximately 5 months at the time of presentation to the wound care center. It has decreased in size from its original measurement of 6 cm x 9.2 cm x 4 cm. Patient healed with use of Silvaklenz and Silvion, off loading, adequate nutrition and HBOT. Case courtesy of Dr. Belinda Marcus, M.D., FACEP, CWS - she is currently in practice as the Medical Director for North Fulton Hospital’s Hyperbaric and Wound Care Center. 68-year-old male presented with a chronic (5 months) non healing Stage 4 sacral ulcer with osteomyelitis. Patient had back surgery followed by a fall and fracture of the left hip requiring surgical repair. He was subsequently diagnosed with DVTs, was found unresponsive, emergency transported to CCU where he was ventilated and subsequently contracted pneumonia/sepsis. He was then transferred to a rehab facility where he developed a sacral ulcer. 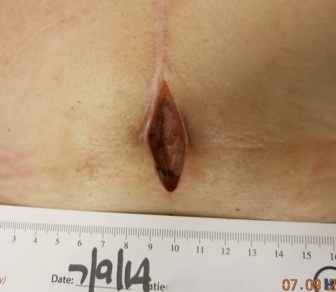 The chronic unresponsive Stage IV pressure ulcer located on the sacrum is thought to be related to osteomyelitis. 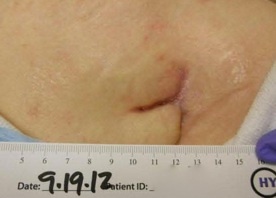 The ulcer decreased in size from its original measurement of 3.5 cm x 3.5 cm x 2.8 cm. Patient managed with HBOT, Silvaklenz and Silvion, off loading, adequate nutrition and control of BS. Case courtesy of Dr. Belinda Marcus, M.D., FACEP, CWS - she is currently in practice as the Medical Director for North Fulton Hospital’s Hyperbaric and Wound Care Center. 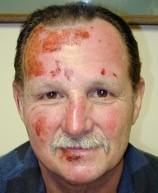 66-year-old male presented for a chronic non healing diabetic ulcer. The Wagner Grade 1 ulcer located on the right posterior foot/heel had been present for approximately 8 months at the time of presentation. The ulcer is thought to be related to Diabetes. 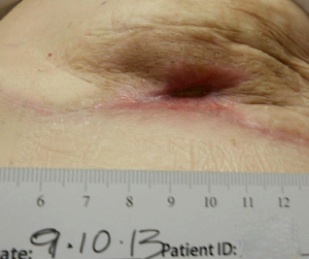 Ulcer decreased in size from its original measurement of 2.5 cm x 0.6 cm x 1 cm. 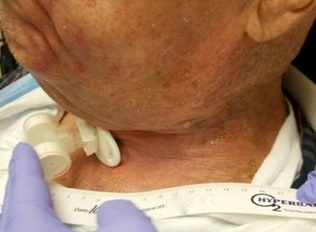 Patient managed with off loading, Silvaklenz and Silvion, control of BS and nutritional management. Case courtesy of Dr. Belinda Marcus, M.D., FACEP, CWS - she is currently in practice as the Medical Director for North Fulton Hospital’s Hyperbaric and Wound Care Center. 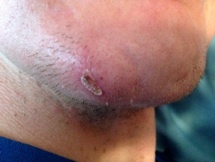 43-year-old male presented for chronic non healing ulcer. Patient had been managed by a wound specialist that used multiple debridements and systemic antibiotics without resolution. 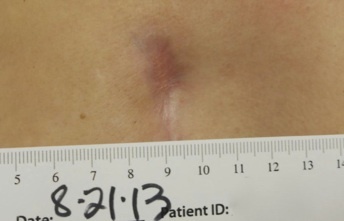 The ulcer decreased in size from its original measurement of 2.6 cm x 2.4 cm x 1.7 cm. Patient managed with Silvaklenz and Silvion, off loading and adequate nutrition. Case courtesy of Dr. Belinda Marcus, M.D., FACEP, CWS - she is currently in practice as the Medical Director for North Fulton Hospital’s Hyperbaric and Wound Care Center. 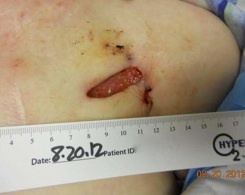 69-year-old female developed a post surgical wound and abscess (with purulent drainage) after placement of a pacemaker. The abscess was drained and the pacemaker was removed. 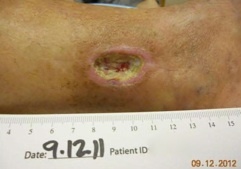 At the time of presentation to the wound care center, the area had not healed despite appropriate antibiotics per ID and wound care per home health. 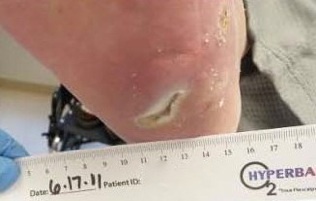 Wound decreased in size from its original measurement of 4 cm x 1.1 cm x 0.8 cm. 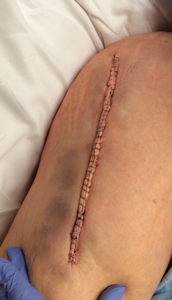 Patient managed with Silvaklenz and Silvion, adequate nutrition and home health to change the dressings. 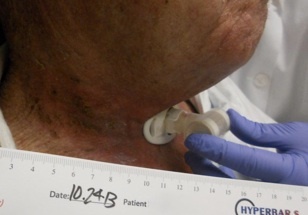 Case courtesy of Dr. Belinda Marcus, M.D., FACEP, CWS - she is currently in practice as the Medical Director for North Fulton Hospital’s Hyperbaric and Wound Care Center. 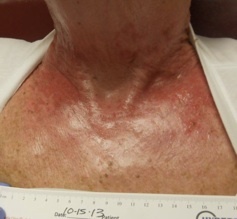 82-year-old female presented for chronic (3 months) non healing diabetic ulcer. 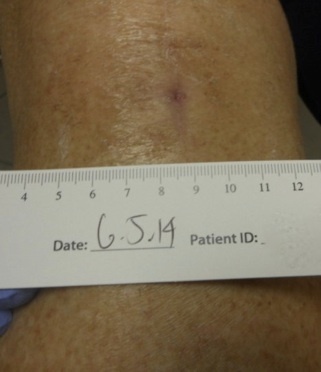 Patient sustained a hip fracture and developed a Wagner Grade 1 ulcer on the left heel during post-surgical rehab. The ulcer is thought to be related to Diabetes. The ulcer decreased in size from its original measurement of 0.5 cm x 0.7 cm x 0.3 cm. Patient managed with Silvaklenz and Silvion, off loading, control of BS and adequate nutrition. 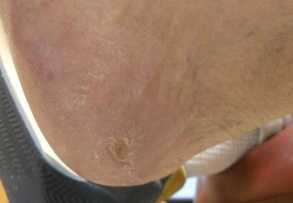 91-year-old male presented for chronic (3 months) non healing ulcers on the left heel. The ulcer decreased in size from its original measurement of 3.2 cm x 2.7 cm x 0.3 cm. Patient managed with Silvaklenz and Silvion, off loading, control of BS and adequate nutrition. 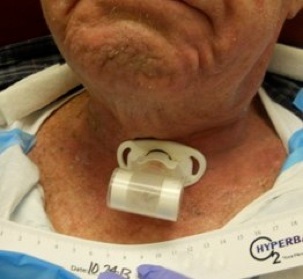 Case courtesy of Dr. Belinda Marcus, M.D., FACEP, CWS - she is currently in practice as the Medical Director for North Fulton Hospital’s Hyperbaric and Wound Care Center. 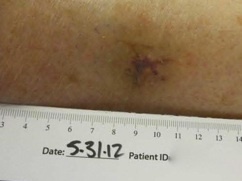 80-year-old male presented for chronic (1.5 month) non healing post surgical wound resulting from a lipoma removal. 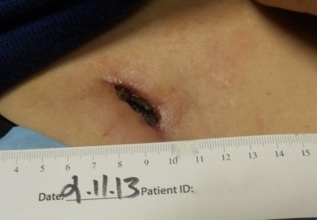 The wound decreased in size from its original measurement of 1.8 cm x 1.5 cm x 1 cm. Patient managed with Silvaklenz and Silvion, compression and adequate nutrition. Patient managed with Silvaklenz and Silvion, compression and adequate nutrition. Case courtesy of Dr. Belinda Marcus, M.D., FACEP, CWS - she is currently in practice as the Medical Director for North Fulton Hospital’s Hyperbaric and Wound Care Center. 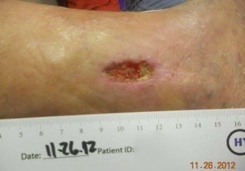 69-year-old female presented for chronic (6 months) non healing arterial ulcer on the left medial ankle, thought to be related to atherosclerosis. The ulcer decreased in size from its original measurement of 2.7 cm x 1.5 cm x 0.7 cm. Patient managed with HBOT, Silvaklenz and Silvion and debridement. Case courtesy of Dr. Belinda Marcus, M.D., FACEP, CWS - she is currently in practice as the Medical Director for North Fulton Hospital’s Hyperbaric and Wound Care Center. 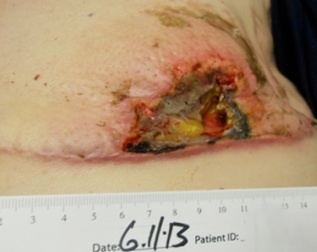 84-year-old male presented for non healing Stage III sacral pressure ulcer unresponsive to topical Neosporin, systemic Abx and home health wound care. The ulcer decreased from its original measurement of 2 cm x 1.4 cm x 1.1 cm. Patient managed with Silvaklenz and Silvion and adequate nutrition. Case courtesy of Dr. Belinda Marcus, M.D., FACEP, CWS - she is currently in practice as the Medical Director for North Fulton Hospital’s Hyperbaric and Wound Care Center. A 41 year old with dehiscence 1 week after abdominal surgery. The incision site was packed with a calcium alginate dressing soaked in Silvion and changed daily. 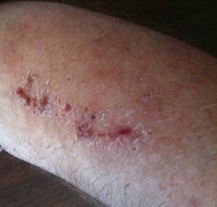 61 year old male, on Coumadin with history of Peripheral Blood Clots and Chronic Leg Ulcers. Ulcer approximately 2 weeks old unresponsive to antimicrobial ointments. 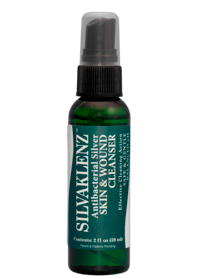 Initiated BID cleaning with SilvaKlenz, and wetting ulcer and bandage with Silvion. 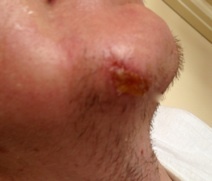 28 year old male with chin pressure ulcer secondary to 7 hr surgery in face frame. 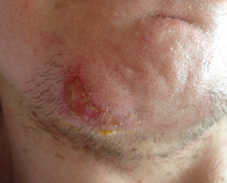 Ulcer became increasingly inflamed and painful post surgery. Silvaklenz and Silvion use started 2 days after surgery. Days 2 thru 5 ulcer was cleaned twice a day and Silvion was sprayed on the ulcer 4 times per day. 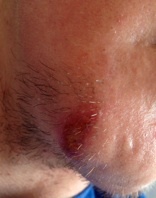 Day 5 ulcer covered with Silvion soaked bandage between cleanings. Diabetic Ulcers, Post Surgical Wounds, Dermal Lesions, Skin Irritation, Abrasions. 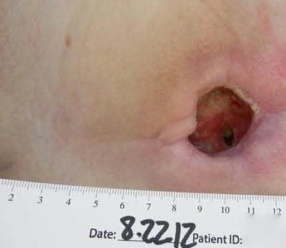 75-year-old female with diabetes mellitus presented for a Stage IV pressure ulcer of the buttock that had not healed after 9 months of traditional care. Patient was successfully managed with Silvaklenz and Silvion. Case courtesy of Dr. Belinda Marcus, M.D., FACEP, CWS - she is currently in practice as the Medical Director for North Fulton Hospital’s Hyperbaric and Wound Care Center. 68-year-old male presented for non healing wound (approximately 4 months) after pancreatic cancer surgery and radiation. Patient was successfully managed with Silvaklenz and Silvion. Case courtesy of Dr. Belinda Marcus, M.D., FACEP, CWS - she is currently in practice as the Medical Director for North Fulton Hospital’s Hyperbaric and Wound Care Center. 80-year-old male presented with non-healing (approximately 2 month) stage 4 sacral ulcer with underlying osteomyelitis following hospitalization for surgery. 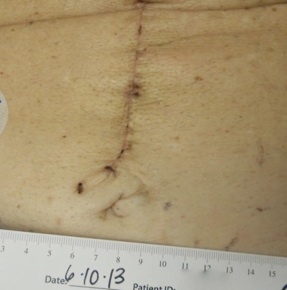 Silvaklenz and Silvion were used for wound management prior to wound closure with a graph. Case courtesy of Dr. Belinda Marcus, M.D., FACEP, CWS - she is currently in practice as the Medical Director for North Fulton Hospital’s Hyperbaric and Wound Care Center. 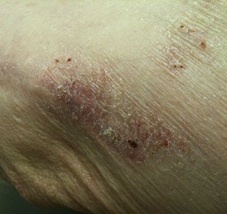 84-year-old male presented for a non healing (approximately 1 month) pressure ulcer of the heel. following cancer surgery and radiation therapy. Patient was successfully managed with Silvaklenz and Silvion. Case courtesy of Dr. Belinda Marcus, M.D., FACEP, CWS - she is currently in practice as the Medical Director for North Fulton Hospital’s Hyperbaric and Wound Care Center. 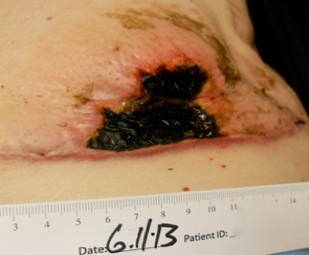 57-year-old female presented with non-healing (approximately 3 months) wound following tissue flap reconstruction and radiation therapy. Patient was successfully managed with Silvaklenz and Silvion. Case courtesy of Dr. Belinda Marcus, M.D., FACEP, CWS - she is currently in practice as the Medical Director for North Fulton Hospital’s Hyperbaric and Wound Care Center. 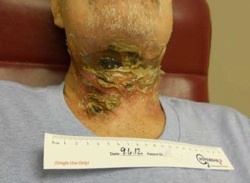 46-year-old male presented for a non-healing (approximately 7 months) post-surgical wound. 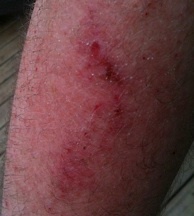 The wound remained open and infected (Bacillus sp. 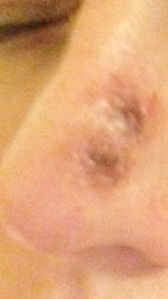 and S. aureus) despite systemic antibiotics, removal of sutures and excision of abscess. Patient was successfully managed with HBOT, Silvaklenz and Silvion. Case courtesy of Dr. Belinda Marcus, M.D., FACEP, CWS - she is currently in practice as the Medical Director for North Fulton Hospital’s Hyperbaric and Wound Care Center. 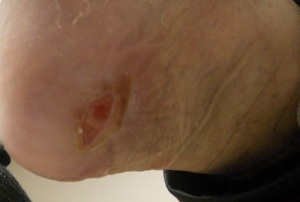 66-year-old male with a multi-year history of a recurring diabetic ulcer on the heel. 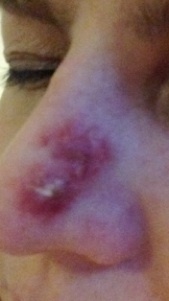 The non-healing Grade 3 ulcer had been present for 2 weeks prior to presentation. Patient was successfully managed with Silvaklenz, Silvion, HBOT and off-loading. Case courtesy of Dr. Belinda Marcus, M.D., FACEP, CWS - she is currently in practice as the Medical Director for North Fulton Hospital’s Hyperbaric and Wound Care Center. 71-year-old female presented for a non-healing (approximately 3 months) post-surgical wound of the right knee with a draining sinus track. Patient was successfully managed with Silvaklenz and Silvion. Case courtesy of Dr. Belinda Marcus, M.D., FACEP, CWS - she is currently in practice as the Medical Director for North Fulton Hospital’s Hyperbaric and Wound Care Center. 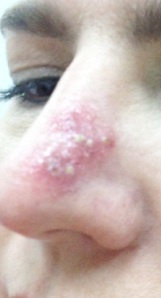 39 year old female with a 3 decade history of recurrent HSV lip lesions. Patient reported 3 to 5 cases per year with a typical duration of 10 days when using topical over-the-counter cold-sore medications. 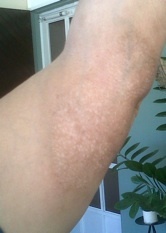 Lesions typically were swollen, formed clusters of lesions and would crack and bleed while using topical medications. Patient also reported that the medications were messy and would leave a dried white paste on her mouth for the “entire world to see”. Patient felt tingling in her lip and within an hour wetted a cotton ball with Silvion and held it on the tingling area for 3 to 5 minutes. 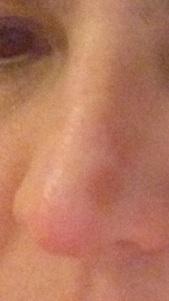 Patient repeated Silvion application to the affected area of the lip every 3-4 hrs. 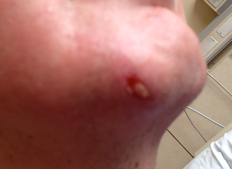 Patient reported minimal pain, swelling or formation of other clusters of lesions. 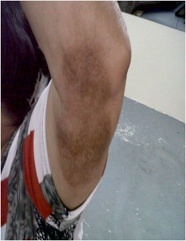 The lesion did not crack or bleed as was typical using other topical medications. The lesion was completely healed in 6 days (historic time to resolution of lesions using other topical medications was 10 days). 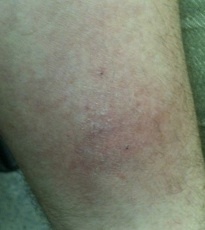 A 41 year old male patient with a 3 day history of a hypersensitivity reaction to poison oak. 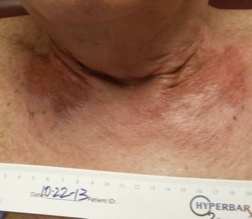 Patient had used steroid cream with little improvement. 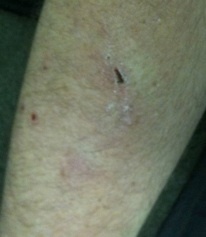 Patient reported severe itching, oozing and painful lesions. 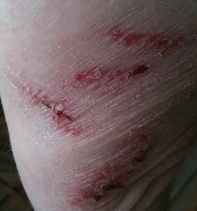 The wounds were cleaned with Silvaklenz and a Silvion moistened bandage was applied. The bandages were moistened with Silvion every 6 hrs. 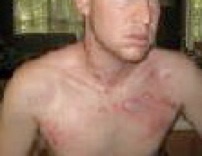 The bandages were changed and wounds were cleaned with Silvaklenz every 12 hrs. 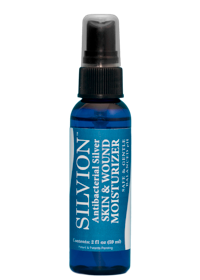 Patient reported a 80% reduction in itching and pain and a 80% reduction in redness within 12 hrs of using Silvaklenz and Silvion and a complete cessation of itching and pain within 48hrs of using Silvaklenz and Silvion. A 65 year old female with Lupus (controlled with chemotherapy) renal failure managed with dialysis at Mayo Clinic, Jacksonville, required the removal and replacement of a Stryker Total Hip Implant. Day before and morning of surgery the surgical area was wetted with SilvaKlenz (left in place for 5 minutes) gently scrubbed with sterile gauze and rinsed with sterile water. The surgical area was then moistened with Silvion and lightly wrapped with sterile gauze. The surgical site was prepared according to hospital procedures at the time of surgery. 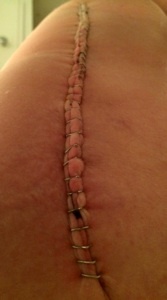 After surgery, the incision was sprayed with Silvion. The day after surgery, and BID each day until the incision was healed, the incision site was cleaned with SilvaKlenz, rinsed, then moistened with Silvion. The contact bandage was lightly moistened with Silvion.